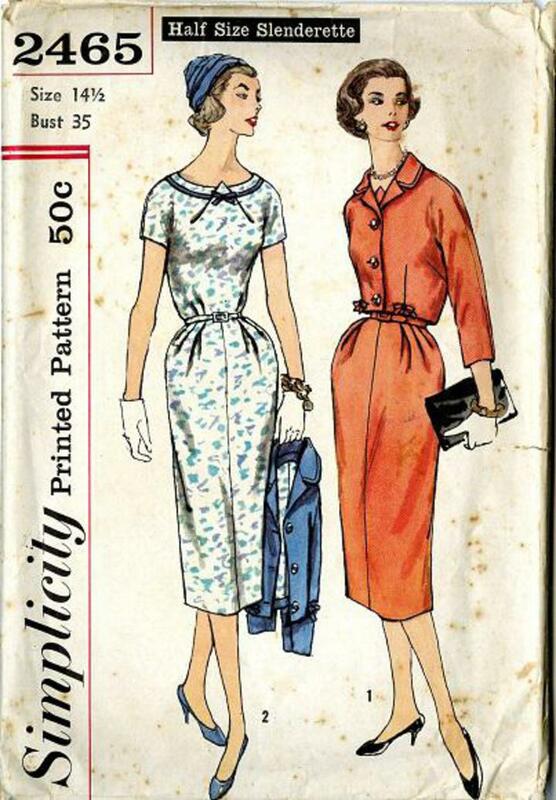 1958 Simplicity #2465 vintage sewing pattern, misses' sheath dress, size 14 1/2. Sheath dress features bodice with short, kimono sleeves and pointed detail at center front extending slightly above oval neck edge. Skirt has soft pleats at waistline each side of center front and a back kick-pleat. Short jacket has 3/4 kimono sleeves, a small rounded collar and 2 bows at lower edge of front.